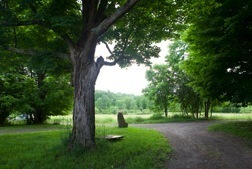 I just returned from a dreamy, restorative few days up in a sweet place in Campbell Hall, NY called simply, heartland. Everything about the time & place was sweet: the scent of the air, the soft green plants, my travel companions (all yogis on retreat), the resident cat (Jack Kerouac). By the end of the trip, I was feeling sweet, too – all of my urban stiffness had melted away. Before I arrived in this home-away-from-home, however, there was one particularly sour thought on my mind. It’s a thought that looms large in the minds of many travelers these days: will there be bed bugs? What I had tucked in my bag is a secret weapon against bed bugs. It’s completely non-toxic, totally safe for pets & humans of any age (you know I wouldn’t use it if it weren’t). It’s made from pure essential oils & plant-based enzymes that work to break down the outer shell or exoskeleton of the bed bug. What is this mystery product? BedbugLogic. In an independent study, BedbugLogic had a 96% efficacy rate after only two sprays and was 100% effective at knocking down bedbugs in seconds (ICR Labs BedbugLogic Efficacy Test February 2011). I was lucky enough to meet with one of the creators of the product the day before I left for my country retreat. Jill Taft (along with co-founder Michael Bedrick) started the Logic Product Group when her daughter suffered from recurrent episoded with lice (LiceLogic is another product line they created). After a run-in with bed bugs on vacation, BedbugLogic was born. Jill wanted a solution that was not just effective, but also safe for her children and the environment. The solution also had to be pleasant to use. Before leaving my own home, I sprayed my travel bag with BedbugLogic as a precautionary measure. Being super sensitive to scents, I’m happy to report it smelled simply of thyme. There’s also a cedar scented version. The 2-ounce travel size is TSA-approved, so you can carry it on flights. You can get BedbugLogic and Licelogic on Amazon . There was another blood sucking little creature I was concerned about on this trip – the tick. 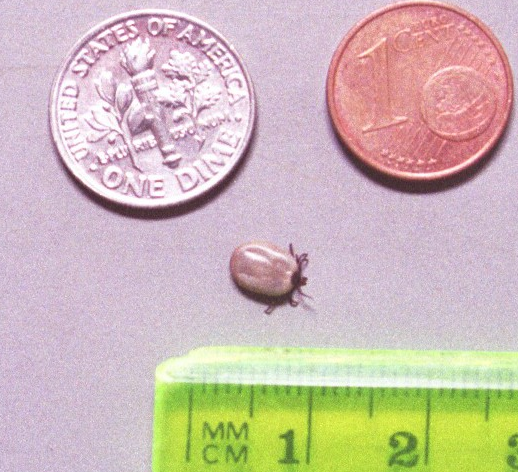 Specifically, the deer tick (Ixodes scapularis). Those pin-head sized members of the arachnid class that carry a bacteria which causes a nasty disease known as Lyme (they also carry less known diseases, like babesiosis & human granulocytic anaplasmosis). I know people who have had it. I know of people who’ve had it more than once. I’ve been in a room with someone who had one on her. And I know people who have moved away from the East Coast to avoid them. From what I understand, it is not a pleasant experience. You can read more about Lyme here. Outside of the city (no deer here! ), ticks are everywhere. On this last trip alone, I came across 3 larger ticks (now I’m thinking they were adult female deer ticks) in one day. Another retreatee found a tiny deer tick on his body. The trick is to find them before they’ve dug their heads into your skin. Ostensibly, we all managed to achieve this. This could be due in part to the spray I had mixed up to bring on the trip. 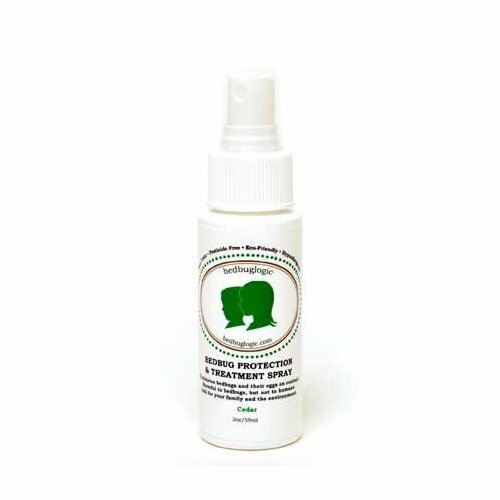 One of the key ingredients in the spray I created was palmarosa essential oil, which contains the constituent known as geraniol, an effective tick repellent. Geraniol is also found in lavender & lemongrass (which I also added to the formula), as well as catnip, rose, geranium, and citronella. All of these essential oils are reported to be effective insect repellents, keeping not just ticks at bay, but also mosquitos, ants, gnats, and other annoying insects. Here’s some more interesting info about geraniol. 1. In a blue- or amber-colored 2-ounce glass bottle, add water until about 2/3 full. 3. Top off with vodka. 4. Shake well and spray on, paying close attention to places where a tick might enter, such as on shoes, and around ankles and wrists. Ticks like to hang out on the ground, especially in leaf litter, and are always feeling around for the next taxi (warm-blooded animal) to latch on to. Early detection is one of the best ways to keep ticks from sinking their blood-sucking faces into your skin. Keep your body covered, tuck your socks over your pants, wear light-colored clothing, and do frequent tick checks (especially before heading indoors). When you do find yourself indoors, get in the shower and do a more thorough check of your entire body. If you find an embedded tick, remove it carefully with tweezers, as close to it’s head as possible. Here’s a video that shows how it’s done. If you know or think you have been bitten by a deer tick, go see your doctor right away. There are antibiotic treatments available to eradicate the bacteria in order to prevent serious illness. You are currently browsing the Raganella blog archives for May, 2011.